This white can best be described as our least white. High white is the least white of our white envelopes and papers. 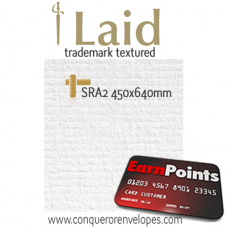 A huge seller, available in all the most bought textures such as Laid, Wove, Contour and CX22. Conqueror Laid Textured Envelopes... 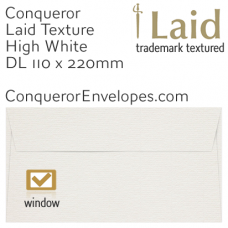 The worlds most prestigious envelopes, perfect for a..
Conqueror Laid Textured Envelopes... 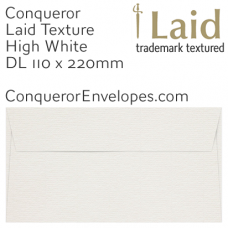 The worlds most prestigious envelopes, perfect for..
Conqueror Laid Textured Envelopes... The worlds most prestigious envelopes, perfect for any bus..
Conqueror Laid Textured Envelopes... 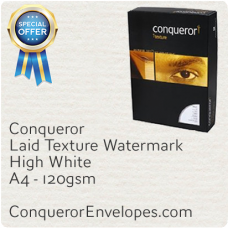 The worlds most prestigious envelopes, perfect for any busin..
Conqueror Laid Textured Paper... Beautiful premium quality Conqueror, in stock here i..
Conqueror Laid Textured Paper... Beautiful premium quality Conqueror, in stock here..
Conqueror Laid Textured Paper... Beautiful premium quality Conqueror, in stock ..
Conqueror Laid Textured Paper... Beautiful premium quality Conqueror, in stoc..